A trade union for staff at poultry giant Moy Park has said it will hold a strike ballot after accusing management of "unreasonable" demands over pay. Unite said it would ballot the 3,000 union members among 6,300 Moy Park staff. The company, owned by US food giant Pilgrim's Pride, is Northern Ireland's biggest private sector employer. Unite regional officer Sean McKeever said Moy Park had made proposals to staff during pay negotiations which he said would undermine conditions, including shift allowances, the staff sickness scheme and break times. 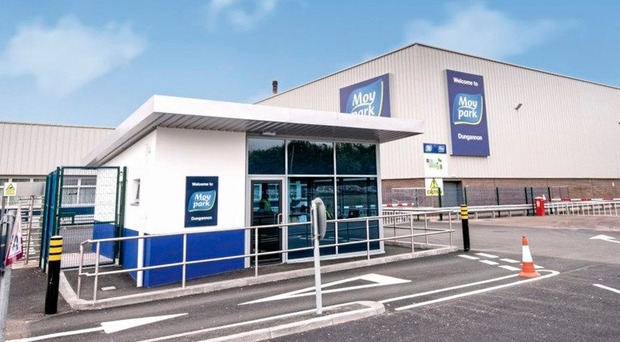 He said the union had been anticipating changes to pay ever since the 2017 takeover of Moy Park by Pilgrim's Pride, a subsidiary of former owner JBS. A company spokeswoman said: "We are aware of the recent union statement and we will continue to engage with the union and work towards a negotiated agreement." Mr McKeever said the union believed that since the takeover management had set out to dismantle terms and conditions of staff, which he said were "among the best of any workforce in the UK agri-food industry". He said: "Management need to think again. This is not a workforce that will stand by as they slash and burn their way in a race-to-the-bottom on rights and entitlements." Earlier this month Moy Park said "challenging market conditions" were to blame for a decision to temporarily halt processing of live birds at its factory in Ballymena.